Reynaers is a synonym for durable aluminum windows and doors. By bringing Reynaers into our big family of brands we introduce European craftsmanship along with quality and innovative design to our customers so they have more options when it comes to windows and doors. Founded in 1965 Reynaers’ philosophy is about celebrating open views and clean lines by merging glass and metal with an absolutely amazing designs. Engineered without compromise, Reynaers Aluminum has many benefits - high recycled content, long lifespan, low maintenance and high thermal efficiency. It is compliant to designs that create unique and highly efficient spaces using one of today’s most durable and sustainable materials. Energy efficiancy comes first with the responsibility for taking care of the environment. 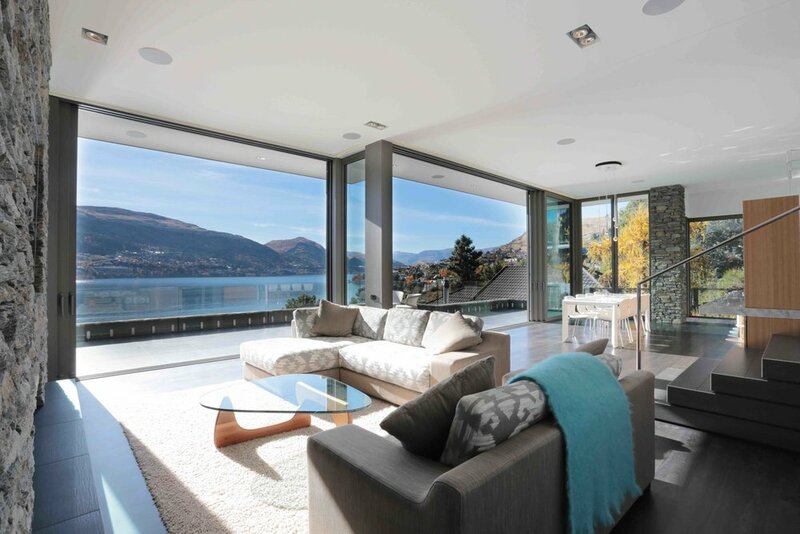 When you choose Reynaers aluminum systems you are guaranteed that your windows and doors meet the most demanding terms of comfort, security, design and energy-efficiency. Aluminum windows and doors are lighweighted but still of a very high quality. They are extremely stable and resistant against deformation. Reynaers systems meet European standards in burglar impact, fire and even bullet resistance. With Reynaers you can be assured that its systems are highly reliable. Aluminum profile Products come with 10 year guarantee. and the accessories have 5 year. Our swing doors are designed to open up the outdoor environment that compliments your living space. The simple, modern style features profiles that increase glass size to optimize a door’s viewing area. These brilliantly designed door frames communicate overall door strength with structural integrity, as a pure symbol of quality . The easy-to-operate door handles provide unmatched durability while providing security and peace of mind. At first glance, one brand of sliding doors may appear very similar to the next, but looks can be deceiving. When you open and close the doors, the difference is immediately evident. The ease of opening and closing a Reynaers Concept Patio CP 155-LS door fitted with the Lift-Slide mechanism can be enough to make you smile. Featuring a longer handle which, when turned 180°, lifts the door slightly and significantly reduces the amount of force required to open the door panels. Without lacking flexibility, our folding doors are designed to be the most solid, well engineered components in the market . With 22 different options to choose from, the perfect door is just waiting your approval. Besides window and doors Reynaers provides sliding systems, solar shading, curtain walls, care products, handles, conservatories and and complementary systems.